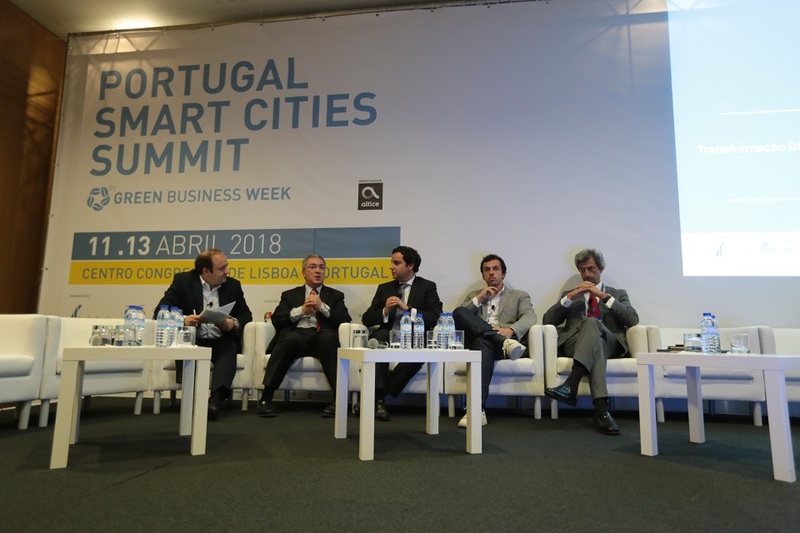 R&D Nester participated, as invited speaker, in the "Portugal Smart Cities Summit", integrated in the annual event "Green Business Week". The event took place in the Centro de Congressos de Lisboa during 3 days and addressed relevant topics for the Portuguese economy such as renewable energies, electric mobility and intelligent cities. The presentation from R&D Nester, by the Managing Director Nuno Souza e Silva, was in the "Energy Summit" panel, namely "Digital Transformation in Energy", which also had the participation of the Minister of Economy, the Secretary of State of Energy and the President of the Energy Regulator. The intervention by Nuno Souza e Silva addressed the Digitalization in the energy networks, in the generation, in the consumption and in all the industry, and the impact in the energy system, in the consumers and in society.